What can you do when stretching isn’t enough? We’ve all heard many times, from many different sources, it’s important to stretch! We all have muscles that become stiff and tight and benefit from a regular stretching routine in order to keep ourselves loosened up and prevent pain. But what can we do when, after stretching faithfully, day after day, we still find ourselves with tightness in specific muscle groups? How do we deal with ever tight hamstrings or shoulders that just won’t relax? That’s when a technique known as Proprioceptive Neuromuscular Facilitation, or PNF for short. PNF is a type of advanced flexibility training involving a combination of stretching and contraction of muscles. PNF is performed with assistance from a partner. It is best to use PNF after completing a work out or performing some type of physical activity in order to warm up the muscle tissues. Any type of stretching is more effective if performed on warm muscles. PNF stretching is done by having a partner help to place tight muscles into a stretched position, then contracting the muscle for 5-6 seconds against resistance from the partner. The muscles are then relaxed while the partner applies a controlled stretch for about 30 seconds. 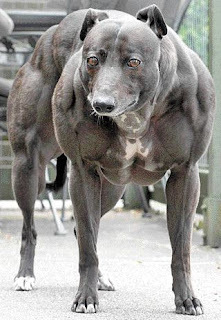 The muscle is allowed to rest for 30 seconds and the entire process is repeated 2-4 times. By using PNF stretching after physical activity 3-4 times a week it is possible to increase the length of tight muscles. Carpal tunnel syndrome has become very commonly diagnosed in many office workers. It is common for anyone with pain or tingling in their hand to be told that they have carpal tunnel and that they need to brace their wrist, take pain killers, and, in bad cases, undergo surgery to decompress the carpal tunnel. Yet the surgery for carpal tunnel often fails to fix the problem and many people struggle with this condition for years. But what if their carpal tunnel isn’t really carpal tunnel? Nerve impingement due to cervical facet dysfunction can cause symptoms very like those seen with carpal tunnel. This means that the pain and tingling in your hands may in actuality be coming from your neck and can often be helped by chiropractic care including adjustments and soft tissue therapy. So how do you know when you have true carpal tunnel and when you need to consider other causes for the problem? In a true carpal tunnel syndrome the pain, tingling, or numbness in the hand occurs along the palm and affects your thumb, index, middle, and part or all of your ring finger. However, it does not affect the palm of the hand as sensation to your palm is provided by a branch of the median nerve which branches off of the median nerve before it enters your carpal tunnel. This means that if you are having symptoms into your palm the pressure on the nerve is coming from higher up in the arm, rather than from the carpal tunnel. If this is the case you need to explore other areas where the nerves to the hand may become entrapped. This can include the elbow, upper arm, or neck. Beers, Mark H., et al. (2006). The Merck Manual of Diagnosis and Therapy. Merck & Co.
Netter, Frank H. (2003). Atlas of Human Anatomy; Third Edition. Icon Learning Systems. Temporomandibular joint dysfunction (TMJD) is a group of conditions affecting the jaw. These can include muscular tension, movement problems such as locking of the jaw, and damage to the articular disc in the TMJ. People with TMJD report a wide variety of symptoms including pain in the jaw, clicking or popping when opening or closing the mouth, reduced ability to open or close the mouth, headaches with tension in the jaw, burning or tingling in the face, or tenderness and swelling on the side of the face. Chiropractors can treat tense muscles in the jaw through a variety of soft tissue techniques and manipulate or mobilize the TMJ to break up any adhesions in the joint and restore proper movement. A chiropractor can also evaluate and treat any related problems which are often found in the neck and shoulders when a patient has TMJD. Finally, a chiropractor can provide a referral to a dentist if the problems may be related to oral health. First and foremost, avoid chewing gum or eating sticky, chewy, or exceptionally hard foods. Take smaller bites of food that will be easier to chew. Be aware of your reaction to stress and avoid clenching your jaw or grinding your teeth. Learn relaxation techniques to keep stress from affecting your jaw and avoid activities that aggravate the problem. Becoming an organ donor just got easier! It only takes moments for you to save a life! 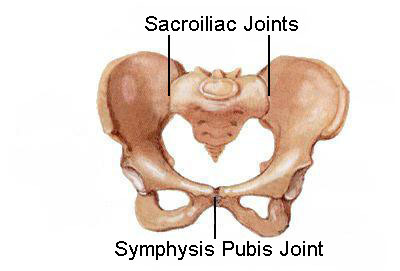 Many women experience pain in the pubic symphysis at some point during their pregnancy. This can be felt as mild to severe pain in the area of the pubis which can extend down through the groin or down the inner thighs. The pain tends to be brought on by standing, especially on one leg, sitting for a long time, or moving from one position to another, for example rolling over in bed or going up and down stairs. Some women also experience a clicking in the joint. Women are more likely to experience pubic symphysis pain if they are higher in weight, have a previous history of joint hypermobility or have experienced pubic symphysis pain in previous pregnancies. If you are experiencing pubic symphysis pain making changes to your daily activities can greatly help with pain. When rolling over in bed or getting out of the car it is important to keep your knees together. Both activities are often easier on a slightly slippery surface. Try putting silk sheets on your bed and sitting on a garbage or grocery bag in the car. This allows you to move more easily from one position to another. When getting into bed it is often easier to get into bed on all fours and then lay on your side rather than sitting on the bed and lifting your legs. When sleeping, placing a pillow between your knees and another under the baby bump can be helpful. Since climbing stairs is often very difficult it can help to go up the stairs sideways stepping up one step at a time. Try to sit without crossing your legs with your weight evenly on both buttocks and stand with your weight evenly on both feet. 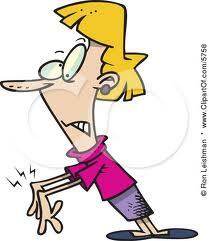 If you can avoid a strenuous activity such as prolonged standing, lifting, twisting, etc. DO! If not, try to sit down for tasks that are generally done standing. A variety of exercises can also be helpful in alleviating pubic symphysis pain. Your chiropractor can help you to learn exercises for pain relief. Jeffcoat, Heather, DPT (2010). Help for Pubic Symphysis Pain During Pregnancy. InternationalJournal of Childbirth Education. Vol. 25. No. 3. Are you training for function? I've just come back from an enlightening weekend conference with Dr. Craig Liebenson, one of the worlds's experts on functional assessment and training. After two days of working to improve my own function I'm a little bit sore and a lot motivated to change how I'm working out and help my patients with how they're functioning on a daily basis. Coming into work this morning I passed by a very large, seemingly fit gentleman who was having great difficulty tying his shoes. His muscle bulk was impressive, but he had developed so much muscle that he was unable to bend forward enough to reach his own feet. Instead of working to build more muscle he should be working to improve him range of motion through his hips and low back. It really brought home to me how often we training for a look rather than to be functional in our everyday lives. My challenge to all of you this week is to look at how you exercise and see if you are working out in a way that will help you with activities you do everyday. Are you lifting and squatting? Are you increasing your walking speed and getting your heart rate up? Or are you so focused on achieving a look that you aren't improving the physical skills you use everyday? We all want to look fit, but truly BEING fit and functional is a lot more important. Also, check out Dr. Liebenson's blog for some great info! Now that the air has started to warm up and there's not so much snow and slush to contend with a lot of us are looking to move our workouts from the gym outdoors. Running is a great way to keep your heart and lungs in shape and requires very little equipment or cost. Running clothes can be as inexpensive or costly as you wish to make them. One thing you should invest in is a good pair of running shoes. When you run approximately three times your body weight goes through your foot with each step. With this added pressure improper foot mechanics can greatly predispose you to running injuries such as muscle strains and ligament sprains. As a new runner or a long term runner who is prone to injuries it is very important to have your feet evaluated by a professional. A chiropractor, chiropodist, or podiatrist can all evaluate your feet and tell you if you are an over-pronator, over-supinator, or a neutral runner, and based on this, which type of running shoe is best for you. In some cases, patient’s foot mechanics may be problematic enough that they will require custom orthotics to fully correct their gait. Once you know what type of gait you have and what type of shoe you need you need to make sure you have the proper fit for your shoes. You should always try on shoes at the end of the day, when your feet are at their largest. When trying on shoes check to make sure you have at least one thumb’s width of space between the end of your longest toe and the end of the shoes to allow your feet room to swell while running. Always try on shoes while wearing the socks you would normally wear to run and always try on both shoes. Most of us have one foot that is larger than the other. If you wear orthotics take them along and try on shoes with your orthotics in them. To make sure your shoes are of high quality check for the stability in the shoes. Hold the back of the shoe in one hand and press back against the toe with the other. If you can fold the shoe in half it is not stable. Next, holding the back and the toe of the shoe twist it with one hand going in either direction. You should not be able to twist the shoe. Place the shoes on a shelf at eye level with the heels facing you. The sides of the shoe should sit directly above the sole. If the upper of the shoe tilts in or out they are not stable shoes. Finally, make sure that you are replacing your running shoes every 400-600 miles or every 6 months so that they do not wear out and lose their stability. Asplund, Chad. A., & Brown, David L. (2005). The Running Shoe Prescription. The Physician & Sports Medicine. Vol. 33(1). Martin, D.R. (1997). 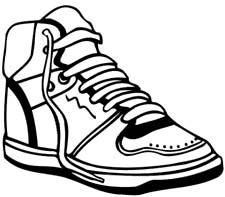 Athletic Shoes: Finding a Good Match. The Physician & Sports Medicine. Vol. 25(9). Dr. Ceara Higgins currently practices at Chiropractic and Massage in the Village; a family based practice in Toronto’s Bloor west Village with a focus on womens’ and childrens’ health. Dr. Higgins is a licensed graduated of the Canadian Memorial Chiropractic College (CMCC). She also holds a certificate in Acupuncture and a Bachelor of Science in Kinesiology from Acadia University where she specialized in health and wellness and physical activity for individuals with special needs. Dr. Higgins has completed a year long internship through CMCC at the Muki Baum Childrens’ Centre where she was responsible for performing musculoskeletal evaluations, preparing and implementing rehabilitation programs, and providing chiropractic treatment to students with special needs. Dr. Higgins is trained in a variety of adjustment techniques and is committed to continually updating her knowledge and gaining new skills in chiropractic. She strives to provide excellent care to suit her patient’s individual needs. Dr. Higgins has a wellness focus and evaluates patient’s overall health and well being in order to provide treatment to help her patients work toward their optimal health.